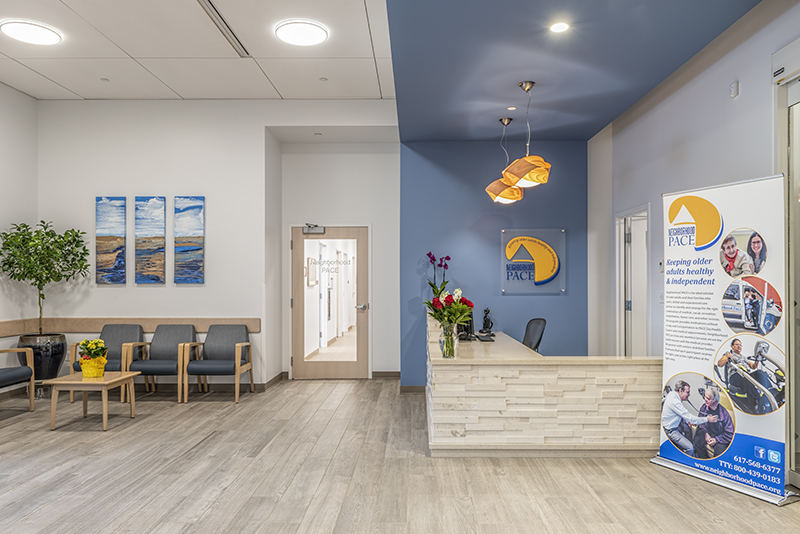 Wise Construction has recently completed East Boston Neighborhood Health Center’s Neighborhood Program of All-Inclusive Care for the Elderly (PACE) facility in Revere, Massachusetts. “On East Boston Neighborhood Health’s PACE Center, the Wise team exceled at meeting the schedule, despite coordination challenges around winter conditions, working around wetlands and in a residential neighborhood. We were all excited to see the center open, and to meet those who will be using the facilities,” said President John Wise. Nestled in a residential area on Garofola Street near Revere’s marsh, the location is the site of a former VFW building. The 20,000 SF single-story building was constructed on the rear of the one-acre site, and, due to the adjacent wetlands, required geopiers for a ground improvement system before the footings and foundations were installed. 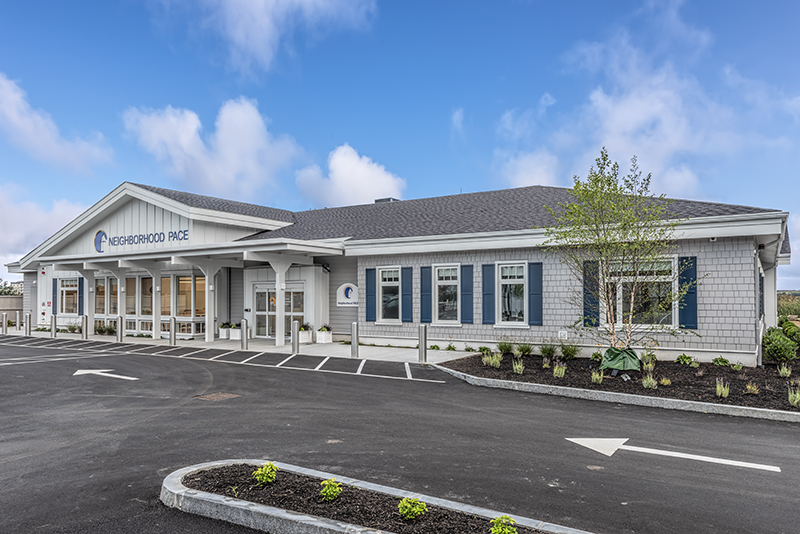 Designed by Isgenuity Architects, the Neighborhood PACE center was created to assist older adults who have complex medical conditions and require some help to live safely in the place they call home, by providing both health and social services. The space includes areas for social services, exam rooms, activity rooms, a gymnasium, dental facilities, as well as a kitchen and cafeteria. The ribbon cutting was held on September 20, 2018.